A Certified Nursing Assistant provides direct care services under the supervision of a licensed nurse. They work primarily in long-term care facilities, home health agencies, and hospitals caring for the elderly. CNAs assist patients with daily activities, helping them to do those things they cannot do independently, such as bathing, dressing, and mobility. 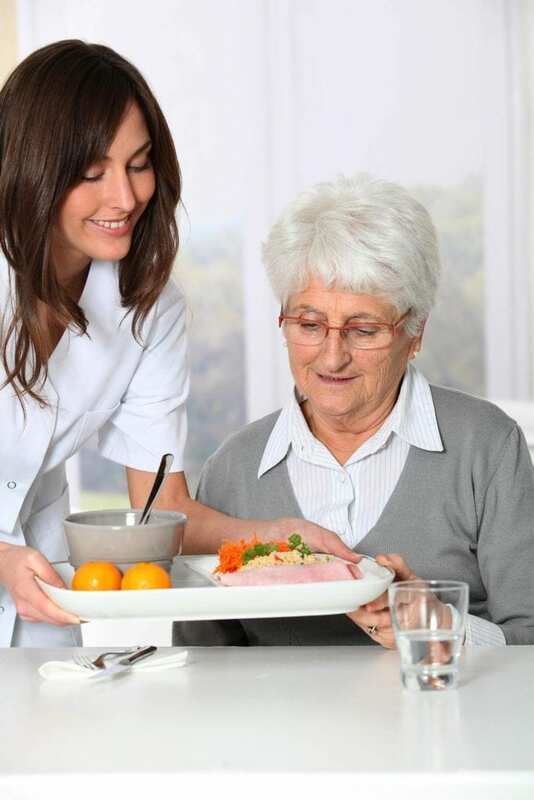 They are usually the main caregivers in long-term care facilities. Depending on their level of experience, a CNA might also use medical charting software, set up medical equipment, and collect specimens. Due to the close work with patients, nursing assistants must be patient, compassionate, and enjoy helping others. They should also be good communicators to share information with patients, their families, and other members of the healthcare team. The demand for CNAs is expected to grow due to the aging population. This certificate nursing assistant program at Normandale Community College is a high demand program, so interested persons should apply early. Graduates will earn a Nursing Assistant Certificate and will be eligible to take to Nurse Aide Competency exam for placement on the state registry. The Minnesota Department of Health approved program features classroom and clinical instruction to equip students with the skills to assist patients with personal care needs. Applicants must provide evidence of negative TB status, complete a background study and receive full clearance, demonstrate clear communication skills, and be physically capable of lifting 50 pounds or more. Once enrolled, students must attend all classroom and clinical sessions as a requirement for graduation. The primary focus of the state-approved curriculum is to prepare students for employment in long-term care settings, specifically the care of older adults. Students will learn how to assist patients with those tasks they cannot do themselves, including personal hygiene, nutritional needs, and mobility. In the classroom, instructors will use lectures, assignments, and practical skills to share information. During the final week of classes, students will work in a long-term care setting under the supervision of the course instructor. Experienced instructors introduce nursing assistant students to the concepts of basic human needs and the role and function of the nursing assistant in long-term and home health care. In the laboratory, students will learn basic nursing skills in preparation for the state skills exam and employment under the supervision of a licensed nurse. Students will complete the didactic training requirements in the classroom, and practice their skills in a simulated lab before concluding the training with a minimum 16 hours spent in a long-term care setting. Graduates are eligible to take the nurse aide competency exam to become Certified Nurse Assistants. Program graduates also have the option to enroll in a licensed practical or registered nurse program since course credits are transferable to any technical college or community college in Minnesota. Applicants must present a recent Mantoux test, achieve passing scores on a reading comprehension test, obtain criminal background clearance, and be able to lift more than 25 lbs. Morning, evening, and weekend schedules are available for students to choose from. Tuition for the program is $950 plus additional expenses for the course textbook, nursing assistant kit, student ID card, background study, uniform, TB test, and state exam fee. A flexible payment plan is available for all students. Nursing assistant students train to become Certified Nursing Assistants at St. Luke’s facility. The classes are available based on the Center’s hiring needs, so there’s no set schedule. Interested persons should submit their names to be notified of the next available training. The program combines classroom, practical, and clinical experiences to teach students how to address patients’ personal care needs. They learn how to assist with bathing, grooming, toileting, mobility, and feeding. Other skills include measuring vital signs, range of motion, catheter care, making beds, and cleaning and storing equipment. Didactic instruction covers infection control, resident rights, communication skills, patient comfort, and mental health concepts. Applicants must be physically able to function as a CNA, which includes standing for long hours and lifting and moving patients. Graduates are eligible to take the written and skills exam at St. Luke’s facility. St. Luke pays for the training and state exam and has a 90% pass rate due to the thorough training and commitment to students’ success. Successful candidates will begin working at St Luke’s and will receive the standard Certified Nursing Assistant rate. Students must attend all classroom and clinical days to complete the program. South Central College offers a combination Nursing Assistant/Home Health Aide course that prepares students for the CNA/HHA Competency Test. The 4-credit course meets the state and federal requirements, and graduates can choose to function as a CNA or HHA after successfully passing the state exam. The program introduces students to the concepts of nursing and prepares them to address patients’ needs in long-term care and home health settings. They also learn patient safety, patient rights, the role of the NA/HHA, and laws and ethics governing practice. There are two options for registering for the program: the first is as a visiting student using the “Non-Degree Seeking Student Form.” The other option is to take the course as part of an educational plan as a degree-seeking student. For instance, students enrolled in the nursing program can take the state nursing assistant competency test for certification as a CNA. The training costs $745 (4 credits x $179.01 per credit) – payment is due at the time of registration. Other expenses include liability insurance, background check fee, textbook, nursing assistant kit, uniform, and NA/HHA certification. Nursing assistant students complete the training necessary to become a CNA/HHA in less than one month. The combination training prepares graduates to enter the healthcare workforce through 96 hours of classroom and clinical training. Students complete the lecture/lab requirements in the first two weeks and conclude the training with hands-on care in a long-term care facility in the final week of the program. Students must attend all classes and clinical sessions. Applicants must provide documentation of a negative TB skin test of chest x-ray results before the clinical experience commences. A criminal background check is required by state law. Graduates are eligible to take the Nurse Aide Competency Evaluation. Tuition for the program is $725 plus $25 for registration and the course textbook. A flexible payment plan is available – students must pay $400 down. The nursing assistant course at the North and South Education Center is targeted for high school students who are interested in healthcare. Guest speakers, field trips, lectures, and opportunities to provide direct care will help students explore medical careers. Course topics, such as medical terminology, infection control, patient safety, emergency response, laws and ethics, patient mobility, range of motion, patient rights, nutrition and feeding, anatomy and physiology, communications skills, basic nursing skills, and personal hygiene will prepare students for entry-level employment as certified nursing assistants. Students will also learn CPR and First Aid and obtain certification at the conclusion of the training. Graduates are eligible to take the state Nursing Assistant Registry exam. Applicants must obtain a clear Mantoux test and criminal background report and pass the HTC Accuplacer test for reading and comprehension. Students must purchase a uniform, which is mandatory for the clinical experience. The Nursing Assistant Certificate program at Century College is a 4-credit course that prepares graduates for the state competency exam and employment as Certified Nursing Assistants. The course includes a Home Health Aide curriculum. Students can enroll “for credit” through Academic Affairs or “not for credit” through the Continuing Education department. Students selecting the “not for credit” option do not need to apply as a Century College student and are not eligible for financial aid. Tuition is $839 for the non-credit course and $716.44 ($171.11 x 4 credits) plus $20 application fee for the credit course. Students must also play $213 for the competency exam available through Continuing Education. The nursing assistant course at Inver Hill Community College may be taken as a stand-alone course or as a part of the associate’s degree nursing program. The five-credit course introduces students to the concepts of basic human needs, basic nursing skills in acute care and long-term care settings, and the health and illness continuum. In addition to classroom training, students learn and practice skills in a simulated laboratory and participate in a 24-hour clinical experience in a long-term care facility. The program meets the federal and state requirements, so successful students can apply for the state competency exam for inclusion on the nurse aide registry. Applicants must be fluent English speakers and pass a TB test and criminal background check. The tuition of $876.65 includes malpractice insurance. Students must budget for uniform, textbook, and a nursing kit.